1. Perform under high temperature shooting conditions. 2. Maintain the accuracy expected of Classic SPG Bullet Lube. 3. Eliminate the need or perception to wipe between shots vs. blowing. If this picks at your interest, this is definitely a bullet lube you need to try. 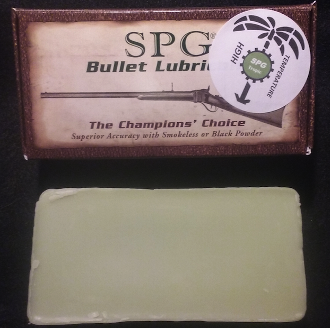 As with Classic SPG bullet lube, Tropic will work with Black Powder and Smokeless. I'm sure you will be pleased with its' performance.